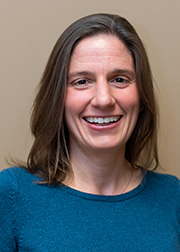 Dr. Behm completed her medical school training at the University of Virginia and internal medicine training at the University of California, San Francisco. She returned to the University of Virginia to complete a fellowship in cardiology. Her areas of interest include treatment of heart disease, prevention of heart disease, noninvasive imaging, and women's health. She is Board Certified in Cardiovascular Disease by the American Board of Internal Medicine.